Tidewater Community College will recognize seven faculty and staff members from across the college with annual special awards on Aug. 19. Selected by their peers, the honorees will receive their awards from President Edna V. Baehre-Kolovani at TCC’s 2016 Fall Convocation at the Roper Performing Arts Center. Judy Gill, associate professor of mathematics, received this peer award established by the Faculty Senate to recognize teaching excellence. Gill, who joined the college in 1989, teaches developmental and college-level math. “I love teaching math because it gives me the opportunity to open students’ minds to math, which is the language of science,” she said. Gill considers herself a math coach because it’s her goal to engage students in the learning process. She believes everyone can do math with active learning and practice. A proponent of using technology to increase student engagement, Gill saves students hundreds of dollars on books and materials by using an open-source tool, MyOpenMath. Last fall, Gill taught Vector Calculus at the Chesapeake Campus from her office on the Norfolk Campus. “I was the first professor at TCC to deliver a synchronous class using Blackboard Collaborate, a webcam, microphone and a computer,” she said. Gill co-sponsors the Norfolk Campus chapter of Mu Alpha Theta, the math honor society for two-year colleges. The induction ceremony for students is often held at her home. 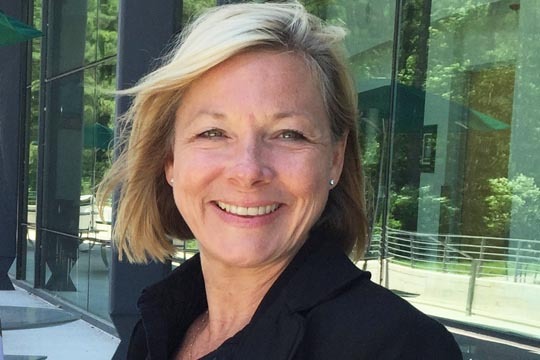 A Virginia Beach resident, Gill holds a master’s in computational and applied mathematics from Old Dominion University and a bachelor’s in mathematics with a concentration in economics from Christopher Newport University. 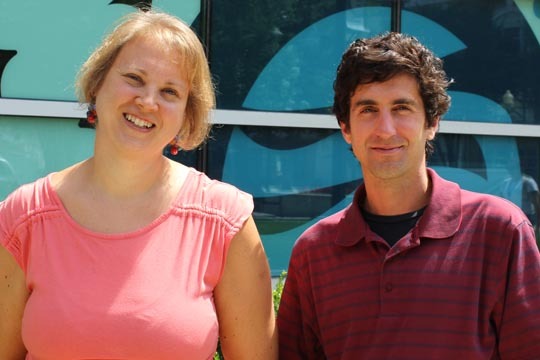 Libby and Matthew Watts, assistant professors of mathematics, were honored by the Faculty Senate for bringing the open educational resource movement to the math departments at TCC. Libby Watts developed courses for the college’s entire developmental math that are part of the MyOpenMath master course curriculum, which has zero textbook costs. Her husband, Matt Watts, has taught on the Norfolk Campus for five years. “I like having the freedom to design courses the way I want so that they go along with my teaching style,” he said of open educational resources, also known as OER. The Wattses are recipients of a 2016 grant from the Virginia Community College System Chancellor’s Innovation Fund to design and facilitate beginner and intermediate workshops on MyOpenMath. They conduct training not only at TCC, but also at Reynolds, Central Virginia, John Tyler, Thomas Nelson and Wytheville community colleges. The Wattses, who live in Chesapeake, are members of the Virginia Mathematical Association of Two Year Colleges. Libby Watts is webmaster of the group and its former vice president. Libby Watts holds a master’s from State University of New York (SUNY) Potsdam and a bachelor’s from SUNY Geneseo, both in mathematics. Matt Watts holds a master’s in applied mathematics from the University of Arizona and a bachelor’s in physics from James Madison University. Donna Maria Walker, a public speaking professor since 2012 at the Virginia Beach Campus, was selected by her colleagues as the outstanding adjunct professor. Walker, a Norfolk resident, teaches communication and public speaking courses, she said, students can apply to their everyday lives. She works with students to help them identify and develop their individual strengths that make them competent communicators. 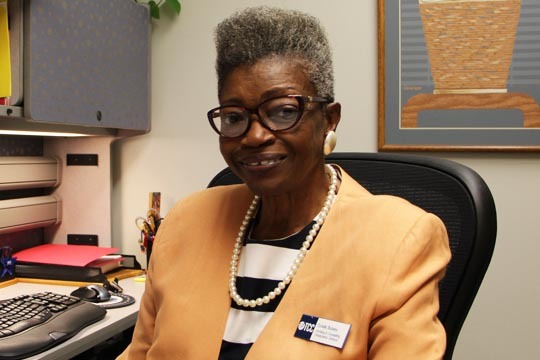 She previously served on the Faculty Senate on the Virginia Beach Campus. Walker, who holds a master’s in organizational communication from Murray State University and bachelor’s in psychology from Radford University, is planning to pursue a Ph.D. in communication at Regent University. Kellie Crawford Sorey received this award from her peers in TCC’s Administrative Association. She has been associate vice president for academics since 2012. 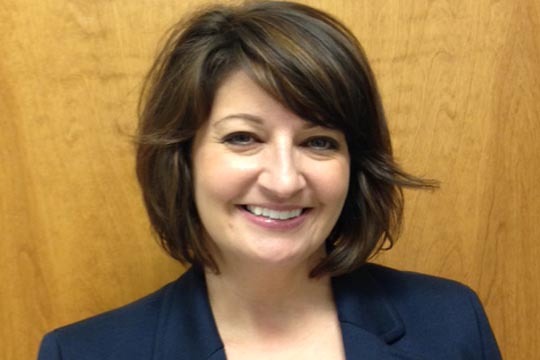 She began her career at TCC in 2005 as enrollment services coordinator. Sorey truly helps TCC students “go anywhere,” working tirelessly to ensure the college’s transfer agreements align with its partnering four-year colleges and universities. She provides leadership and coordination for academic program development and related policies and procedures. Sorey collaborates with faculty and academic administration in the design and implementation of the college’s assessment plan for general education and strives to foster student learning based on data. 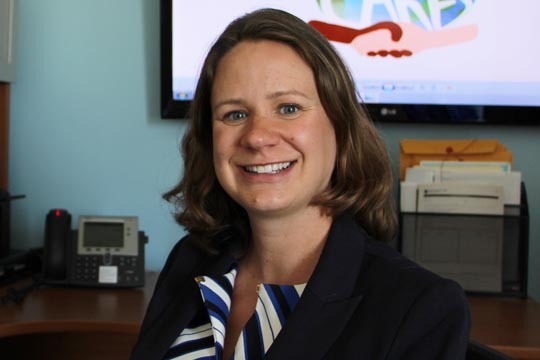 She is the primary liaison to the college’s Curriculum Committee and Virginia’s Community Colleges with respect to programs, policies and procedures related to academic policy and program effectiveness. Sorey is co-chair of the Committee on Transfer for the State Council of Higher Education for Virginia (SCHEV) and chair of the VCCS Educational Programs Committee. She holds a doctorate from Old Dominion University in community college leadership. She received her master’s in student personnel administration and bachelor’s in psychology and child development from Virginia Tech. She is a resident of Norfolk. Estelle Bussey and Holly Desteli were honored by their colleagues in the Classified Association. Bussey, a Chesapeake resident, joined TCC in 1999 after spending nearly three decades managing a high-tech cancer research lab at University of California San Diego. An academic advisor, Bussey now spends her days encouraging students to follow their dreams. “My students are like little chicks. They come here a little unsure about the path ahead. But they do the work, excel and then fly the coop,” she said. Bussey conducts personal advising sessions, helping students map their educational path for transfer to a four-year school or a career path. She also provides students with help with time management and life skills. “I tell them if you start here, you’re going to finish. And then we make a plan to make that happen,” she said. Bussey, who has experience teaching substance abuse prevention in correctional centers, also teaches substance abuse prevention and other health topics as an adjunct professor for the college. Active in the community, Bussey serves on the Chesapeake Commission on HIV and AIDS Committee, as well as the Substance Abuse Committee. She holds a master’s in vocational rehabilitative counseling from San Diego State University and a bachelor’s in behavioral science and associate degree in psychology from National University. As a First Year Success advisor, Holly Desteli helps more than 400 students every semester navigate their transition into college. She also coaches students on career paths, leadership development, student clubs and services available on every campus. She is the founding advisor of TCC CARES, a group that has 30 active members. This year, the group was recognized by the Chesapeake Environmental Improvement Council (CEIC) as the 2015 Community Organization of the Year. Desteli lives in Virginia Beach. She volunteers at Coastal Community Church and leads a weekly community group for college-age and young adults. Desteli holds a master’s in higher education administration from Virginia Tech and bachelor’s in communications from the University of Albany.